Rent a private jet to Sacramento, the capital city of California and home to four major airports within 10 miles, making it one of the most popular destinations for executive and government aviation in the state. Choose from thousands of planes for your charter flight from our network of approved private aircraft operators, and enjoy the most transparent, hassle-free booking process in the industry. You’ll also enjoy free quotes with the best rates, and 24 hour service no matter where you’re flying from. We offer private jet charters for luxury travel, hospitality & events, touring musicians, corporate travel and more, with services extending around the world. Fly with Air Charter Advisors and experience the best air charter service in the industry for your next private flight. Enjoy access to our global network of more than 10,000 private planes for your flight, all operated by FAR Part 135 or 121 (or foreign equivalent) air carriers with recent third-party audits reviewed by our flight team — simply choose the date & time of your flight, submit a quote request, and receive the best aircraft options for your flight. Our Sacramento jet charter brokers are Wyvern-certified, using some of the highest safety and service levels in aviation. We also utilize charter planes with substantial insurance policies, and immaculate track records. After checking out pilot, aircraft and operator history, we present the options to you, giving you peace of mind knowing we’ve performed our due diligence. Our air charter services also offer the flexibility to choose between a variety of local airports, including Sacramento’s international and executive airports, as well as other aviation hubs surrounding the capital. Medical flights, cargo flights, group charters, VIP jet rentals and other services also available. Interested in other private aviation services in Northern California? Our private jet team can connect you with jet card memberships, fractional aircraft ownership, aircraft for sale or lease, and we also provides aircraft management and marketing solutions for private plane owners across California. Available 24 hours a day 7 day a week, give us a call at 1-888-987-5387 (JETS) or e-mail us to receive a charter quote for your private jet charter. There are 4 centrally located private jet airports within 10 nautical miles of downtown, each offering FBO terminals and runways to accommodate planes of any size. Avoid the congestion at the international airport by arriving at the city’s executive airport, McClellan airfield, or Mather airport. 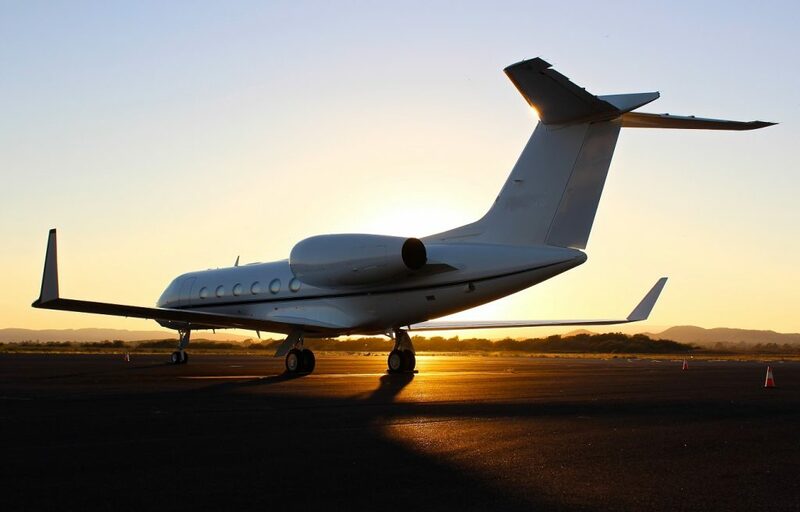 We offer jet charter services that extend across the state of California and around the world, connecting private flyers to the ideal charter planes for their private flights to/from Sacramento, CA. Enjoy on-demand access to more than 10,000 turboprops, jets, and airliners around the world, all available at a moment’s notice for last minute flights, or supplemental lift in the event your aircraft becomes unavailable. We also offer jet cards in a variety of sizes, access to fractional aircraft programs, and assistance with individual/corporate private jet acquisitions. Visit our aircraft page for more details. Book your air charter flight to Sacramento, the capital city of California located between the between the confluences of two rivers, and defacto capital of the Gold Rush. Founded in 1849, it’s the oldest city in the state, with several reminders of the city’s frontier origins mixed within its metropolitan scene. The area experienced the largest human migration in history after gold was discovered in 1848 in nearby Coloma, CA. Today, the city is home to nearly a half million residents and over two million people in its metropolitan area. While some may find the pace here a little slower than in most major Californian cities, the people are friendly and the city is considered one of the most affordable for large cities within California. Looking for things to do after your private flight arrives in Sacramento, CA? The California State Capitol Building is located within 16 square city blocks known as Capitol Park, and offers several gardens, memorials, and monuments located throughout the park’s 40-acres. You can also check out Sutter’s Fort State Historic Park, the oldest restored fort in the United States; the fort was originally built in the 1840’s by John Sutter, and today it hosts a collection of pioneer artifacts. Folsom Lake is also located just east of the city, and there are plenty of outdoor activities available a little further east at Eldorado National Forest. You can also check out an NBA game, concerts, and other events at the Golden 1 Center, a 15,000 – 20,000 seat arena opened in 2016. The Sacramento Convention Center Complex is also available for meetings, conferences, and industry events. Luxury jet travelers can choose between a variety of luxury hotels located within Sacramento, scudding The Citizen, Kimpton Sawyer, Hyatt Regency, and The Le Rivage (Westin). Looking for a more secluded stay? The Eden Vale Inn is rated five-stars and located 45 miles east in Placerville, CA; you can also check out The Inn & Spa at Parkside if you’d like to stay more centrally located. Arrive at any of the following airports located in Sacramento and Yolo County. There’s also a number of smaller airfields also available along the outskirts of the capitol in Lodi, Rio Vista, Vacaville, Auburn, and Yuba City, with runways suitable for piston and turboprop flights. Request a Quote or call us at 1-888-987-5387 speak with one of our brokers by calling us at 1-888-987-5387. We can arrange the right plane with direct access to private jets, turboprops and airliners based around the world, and we offer all-inclusive quotes with competitive pricing.